Secret Superstar crosses $100 million in China in 21 days (3 Weeks). History Created! Secret Superstar has created History at China Box Office on 3rd Thursday (21st Day) as film crosses magical $100 million. It has thus become second Bollywood film after Dangal to do so. Great news is film is still unstoppable and racing towards $125 million mark now. 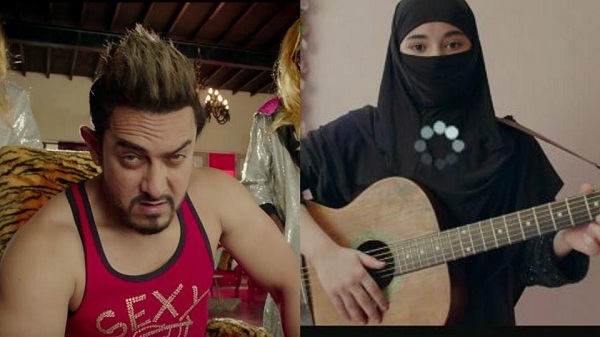 Secret Superstar has added an approx $2.3 million on Day 21. Thus, film total business at the end of 3rd week is approx $100.8 million that is approx INR 642.6 crore gross. Film is 2nd highest Indian film ever in China. Film is trending exceptionally well and looks like it will again collect well in week 4. SS is also 2nd highest Bollywood grosser in Worldwide after Dangal. Film has an outside chance of touching INR 1000 crore in Worldwide. For that film needs to trend excellent for another 2-3 weeks in China. Thu -> $2.3 million [est]. It will be very difficult but not impossible..
Aamir hai toh kuch bhi ho sakta hai.. Your thinking is bang on target.forget bollywood not even Hollywood has produced actor who rules on box office of two most populated countries . subhankar Nandy you are spot on.